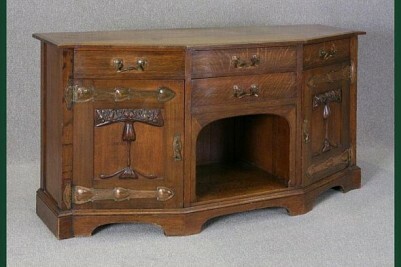 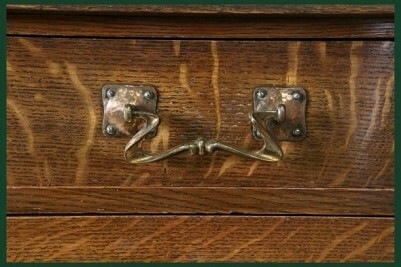 Arts and crafts oak sideboard. 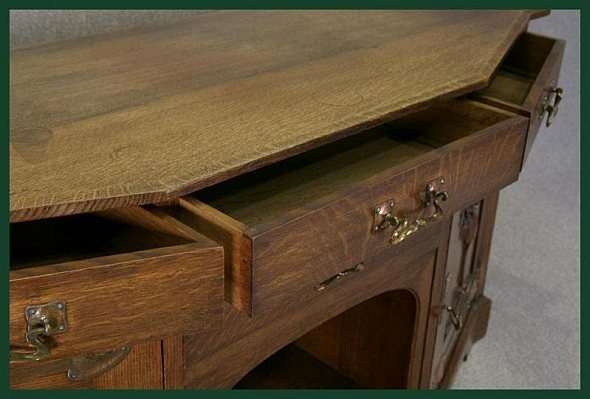 A magnificent piece of quality Arts and Crafts furniture. 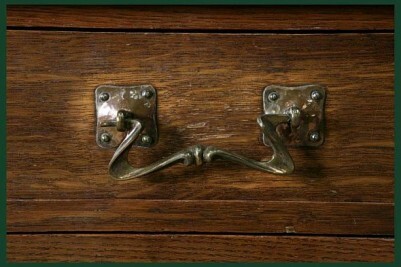 Featuring its canted corner design, and three large drawers to top; all fitted with the original copper swan neck handles. 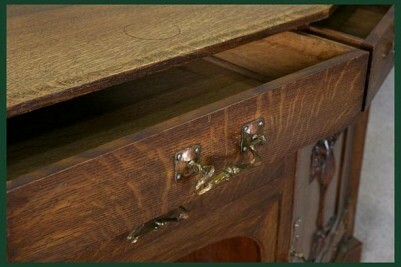 These drawers are situated above an arch centre, flanked by two large cupboard doors. 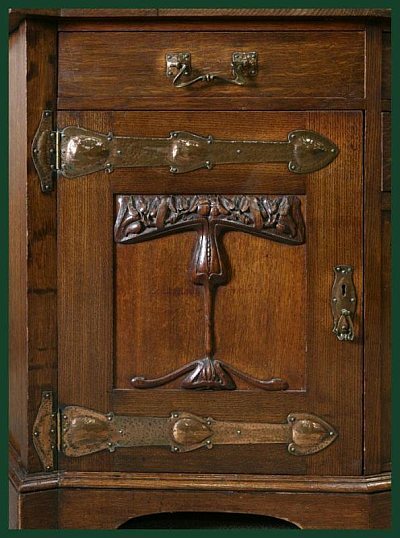 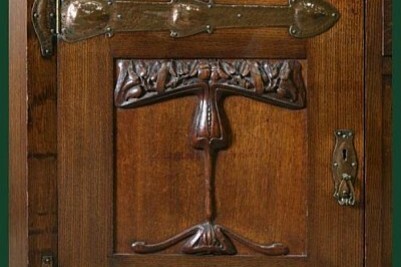 The doors are extremely impressive due to their copper plate hinges, and carved oak tree design to front. 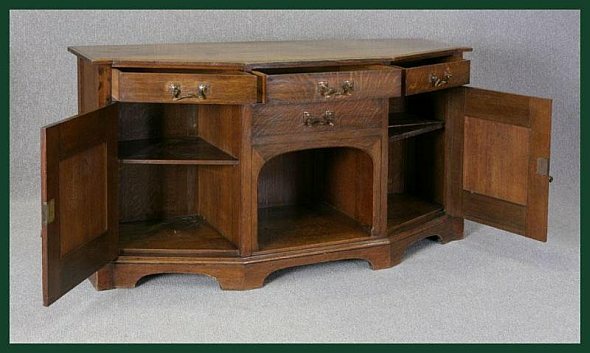 This is truly an impressive piece of quality arts and crafts furniture in lovely condition for its age, circa 1890. Sadly, we do not have any keys for this item, but as you can see by the photographs, all of the original iron work is intact. 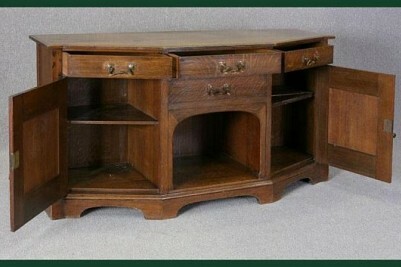 It originally would have had a large up stand mirror to rear, but sadly during its lifetime, this has been lost. 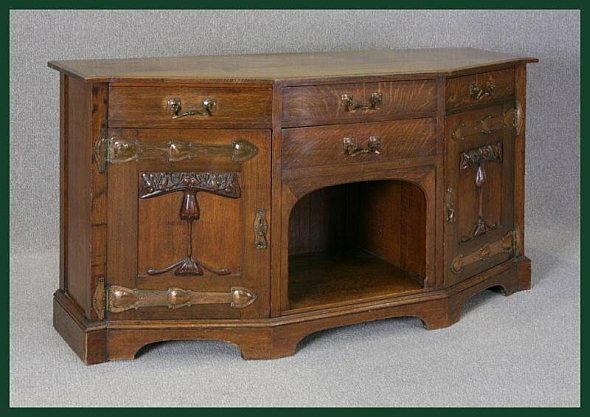 An ideal piece of furniture to blend in with any quality arts and crafts interior.